Environmental issues were the main motivation for me becoming a cartoonist, and self-publishing comics from 2008 onwards. During that time, I was learning about climate change, ecology, fossil fuel depletion, and many other interrelated topics. I felt that comics could be an engaging communication medium that had an untapped potential for conveying ideas to readers. I hoped that my comics could educate people about sustainability, and then inspire them to change their attitudes and behaviours. 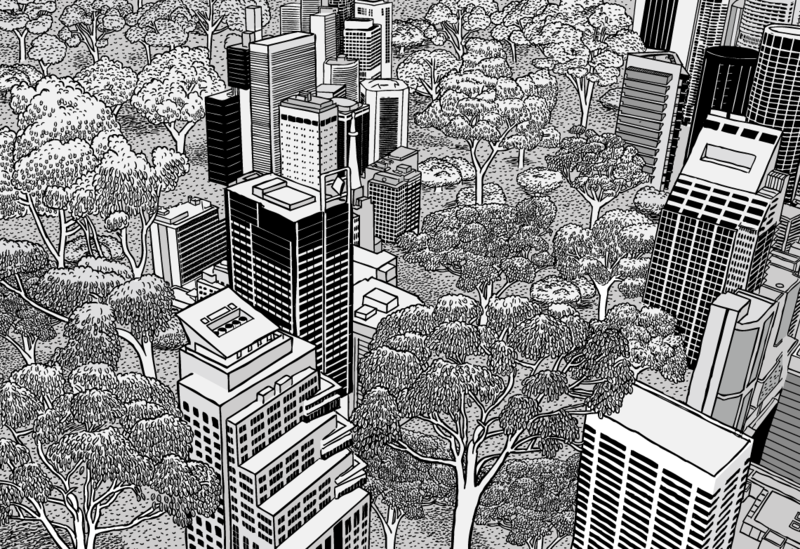 The environment continues to be a recurring theme of my comics, and ecosystem-scale thinking informs my broader mindset as a person. Be sure to also see the comics in my ‘energy’ category, which should also be of interest to environmentally-minded readers. Featured below are some of my favourite comics about ecological and environmental issues. 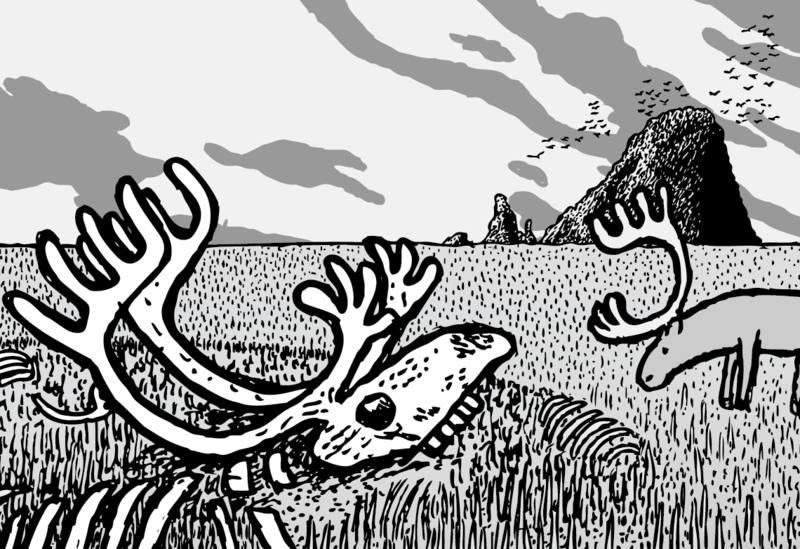 What happens when you introduce 29 reindeer to an isolated island of untouched natural resources? Humanity's attitude toward nature. How did we get here? Where can we go from here? 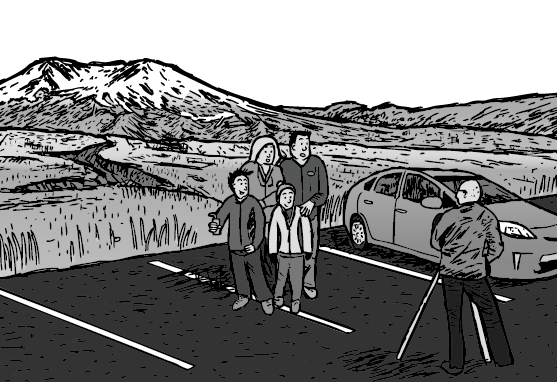 What does the Mount St. Helens ecosystem have in common with the human industrial system? Trees build themselves from the carbon, hydrogen and oxygen of thin air. Can we learn to copy their engineering secrets? Jimi Hendrix was the greatest guitarist who ever lived. Your climate-denying uncle is just some random bloke who no one has ever heard of. Today, global action to stop climate change is inconceivable. Yet, in 1938, global action to stop Nazi Germany was also inconceivable. The world was in Hitler denial. The making-of "Jimi Hendrix vs your climate-denying uncle". I describe my conversation with a red-faced climate denier that inspired me to draw the comic. I describe the storytelling philosophy I employed in my comic Hitler Denial. The comic is about climate change, but I deliberately avoided getting bogged-down in 'Climate Change 101' debates. I used the World War II as an analogy for responding to climate change in my comic Hitler Denial. In this essay, I discuss the merits and limitations of this comparison.